If you’re property broker or a dealer in cars and have hundreds of listings to manage on a daily basis, keeping track of the performance of your ads can be quite a task. At getthat, we understand how important it is to be on top of your ads and effectively optimise the performance constantly. Now every time you log onto your dashboard, besides the leads for every ad, you will get an overview of the leads for all your ads. 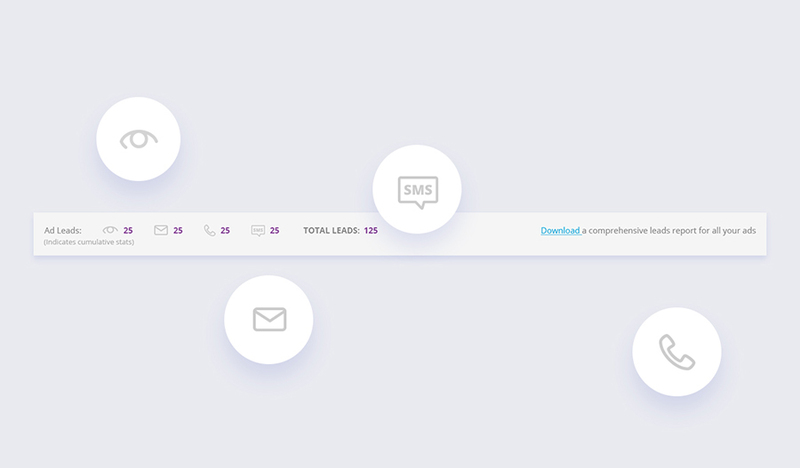 The cumulative leads bar will show you Total Views, Total emails, Total SMS messages & Total Calls for all your ads on your dashboard. In case of employers you will see Total Views & Total Applications. If you want to drill down into the performance of each of your ads, simply download the report and save it on your laptop. Analyse it on the go and decide which ones to boost next, edit further or renew. If you wish to see a detailed view with charts, click on the “View Stats” icon next to the ad. Think your ads are getting more views but less action? Add a relevant Badge or Boost if it’s a Property or an Autos Ad. You can try featuring the ads in case of Classifieds or Jobs. Try this new feature today and send us your feedback at hello@getthat.com.